Investigators have a better understanding of the world and its ugly sides as we see a lot of the bad. My feeling is that to see or be part of the good is always worth your time. Since starting his business over 15 years ago, Jerry Apple, the CEO of Raven PI, has always taken the opportunity to give back to his community. From working on pro bono projects to volunteering for search and rescue teams, Raven PI has a long history of giving back. In the company's latest efforts, they are looking to collect plastic drink lids to help out a family who has been affected by cancer. 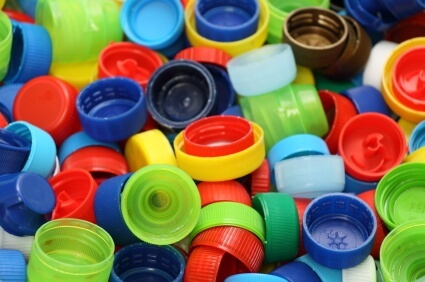 The agency, located in Rogersville, Alabama, is currently collecting plastic drink lids from bottles and jugs to donate to a family in Indiana. For every 200 lids they receive, the family receives one free chemotherapy treatment for their 10-year old son. The son, Levi Heistane, has a rare form of bone cancer. Apple, who has six children of his own, said it was only natural for him to want to help the family. "We know Levi because he played on the same ball team as my nephews, and I'm from the city where he lives." "We have collected a lot, but this is just the start," Apple said. "We would love to collect over one million caps. We don't know how many Levi will need, but they will also be used for other sick children, so they will be put to good use." The lids are used at Riley Children's Hospital. This is not the first time Apple has donated to a cause. "We have been giving since we started in business over 15 years ago," he said. "We do Susan G. Komen, and we have done many local drives for families with sick children." Raven PI also serves on a search and rescue team and does pro bono work through Project Angel Eyes. "We also assist abused women on their court cases through process service, research, surveillance, and escorting them to and from their court dates," he said. "We have a heart to give and it's always a good idea to help your community." When asked if there was anything else he would like to add, Apple simply replied, "We hope everyone will take a moment to pray for not only him but all the sick children at Riley." Apple thanks everyone who has already joined in the efforts to help the children at Riley Children's Hospital. For more information or to donate your plastic lids, contact Jerry at [email protected] with the subject: Caps for Kids. Know an Investigator Who is Giving Back? Let Us Know! PInow.com is working to highlight investigators that are giving back. Has your firm or an investigator you know gone above and beyond to help your community? Contact PInow today and share your story!